Please join us on Tuesday, January 12, 2016 for a discussion with Ed Albrigo, newly hired President and CEO of the Center for Innovative Technology (CIT), on the next generation of partnerships and initiatives that will support entrepreneurial growth in Virginia. Ed Albrigo is President and CEO of the Center for Innovative Technology (CIT) in Virginia. Ed leads CIT in its mission to create and execute strategies to accelerate innovation, imagination and the next generation of technology and technology companies. He is responsible for overall strategic planning, financial management and employee engagement for the organization. He is also directly accountable for outreach to and collaboration with the business and education communities as well as with the Commonwealth of Virginia government. 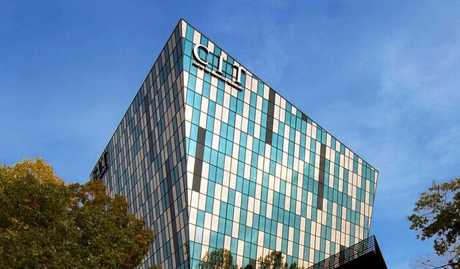 Prior to joining CIT, Ed was COO of The Hilltop Companies, a group of financial services and technology consulting companies in McLean, Virginia. Ed led business development and client engagement programs for Fortune 500 companies and federal agencies regulating the financial services markets. 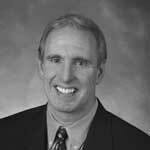 Ed joined Hilltop after 15 years as a senior executive with Freddie Mac. At Freddie Mac, Ed led a number of business units including corporate wide Operations for the company, Strategic Change Management and Corporate Development. He also served as CEO of Ignition Mortgage Technology, a subsidiary providing technology solutions for the housing finance industry. Prior to Freddie Mac, Ed held a variety of technology and marketing positions with companies such as the Corporation for Open Systems, a R&D consortium, Booz Allen & Hamilton and CSC. He started his professional career launching spacecraft for NASA. Ed has Bachelor degrees in biological and computer sciences from the University of Rochester and University of Maryland and a MBA from San Diego State University. Since 1985, CIT has worked to bridge innovation gaps in the Commonwealth by focusing on new technologies, entrepreneurs and technology companies that make innovation happen. CIT helps entrepreneurs launch and grow high-growth technology companies and create high-paying jobs for the future and the new Virginia economy. Through MACH37, a premier cybersecurity accelerator, CIT also works to harvest university, industry and government assets to create leading-edge cybersecurity products and companies in Virginia. Free and open to the public. RSVP requested by Jan. 7, 2016. Reception at 6, program begins at 6:30 p.m.